The possibility of the implementation of the announced Credit Amnesty, the R20 million penalty imposed on African Bank for reckless lending and the realisation that unsecured and short term lending was getting out of control, already had a severe impact in the property industry as lenders are tightening their purses. Consumers who rely on debt to make ends meet are already feeling the pinch and it is expected to worsen over the next 6 months, as money lenders are not granting credit as easily as they used to in the past 24 months. A severe crisis is expected to hit South Africa soon as consumers will be prevented from borrowing money to pay back debt as has been the trend for the past few months. From the latest statistics released by the National Credit Regulator, it shows that there are 20.2 million credit active consumers – an increase of 7.1 % from the previous quarter. Only 37,1% of consumers are regarded as “current”, which means that they have no late payments or defaults noted against their names. 14,2% Consumers are 1-2 months in arrears and still regarded as part of the consumers with “a good standing”. It will be interesting to see how this figure will compare in 2014 as the impact of the more conservative approach to lending will then surface. 21,1 % of consumers are 3 or more months in arrears and 13,5% have adverse notices against their names. 13,3% have judgments or administration orders against their names. If the statistics are further analysed as from 2011, it appears that unsecured debt for consumers who earn less than R15 000 per month have taken up 64 % of all loans in the unsecured market of R12 274 billion in the 2nd term of 2012 and 63 % in the same period to a value of R13 981 billion and 54 % to a value of R12 billion in the second quarter of 2013. Consumers who took up short term lending (a short term loan is an unsecured loans for less than a 6 month period and of value under R8 000.00) borrowed close to the same amount of money as home owners who earn less than R15 000 per month. In the second term of 2013, short term loans in this income category amounted to R 1,003 billion which is 69 % of all short term loans granted. In the same period, R 1,384 was allocated to home loans in the same income category. If one compares the allocation of the number of home loans for consumers who earn less than R15 000 per month, the lending volume ratio is the complete opposite as for unsecured and short term lending. In the second quarter in 2011, for those who earn less than R15 000 per month, the number of home loans approved amounted to 6 613, being 17.3 % of the total homes loans approved on a national basis and in the same period in 2012 the number came to 5 901 affordable home loans approved, being 15.2 % of the total market share of approvals. In the 2nd quarter in 2013 a number of 4 523 home loans were approved, which equates to 13% of all home loans approved during the second quarter. If one compares the allocation of the value of home loans for consumers who earn less than R15 000 per month, the lending ratio is the complete opposite as well as for unsecured and short term lending. In the second term of 2011 the amount of R 1,743 (6.8%) was allocated for affordable home loans, and in the same period in 2012 (6.02 %) towards affordable home loans, to a value of R 1,593 billion and in the 2nd quarter in 2013 (4,66 %) of affordable home loans, to a value of R1,384 billion. The future and current impact of defaults and distress in the unsecured and short term market have and will have a direct negative impact on the credit status and affordability of home buyers. Already it is seen from the statistics above, that home buyers who earn less than R15 000 per month are the consumers who take up the most unsecured and short term debt and are most likely to default once the lenders tighten their purses. The more conservative lending practices already impacted in the “affordable home” market, where properties are sold to consumers who earn less than R15 000 per month. Over the recent years many property developers shifted their focus to the affordable home market, as it appeared that initiatives like the Finance Linked Individual Subsidy Plan (FLISP) implemented by the national government, would aid the process of housing delivery. FLISP however was not able to meet the expectations, as property developers (as an example) in the Western Cape learned in June this year that the entire 2013-2014 FLISP budget was already allocated and the Department of Human Settlements and NHFC could not provide any statistics as to who the beneficiaries of the FLISP subsidies were. It appears that three developments received the bulk of these funds, but at a recent workshop with the Department, no information could be obtained as it was held that the applications were done by “walk-ups” and not specific projects. Developers are thus in the dark as to planning their developments a year or two ahead, as they are unsure whether sufficient FLISP funds will be available to assist with their property sales. The implementation of FLISP was further hampered by the quality of the applications of the consumers as each FLISP applicant must also comply with the lending criteria of the banks or lending institutions, the three main elements being affordability to service the home loan, a good and healthy credit status and profile as well as a deposit, the latter a requirement by some lending institutions. New lenders in the affordable space, such as HIP Bank and SA Home Loans recently entered the affordable home loan market. These institutions have funds available to allocate to home loans, but are equally frustrated as the 4 other banks, in the quality of home loan applications. 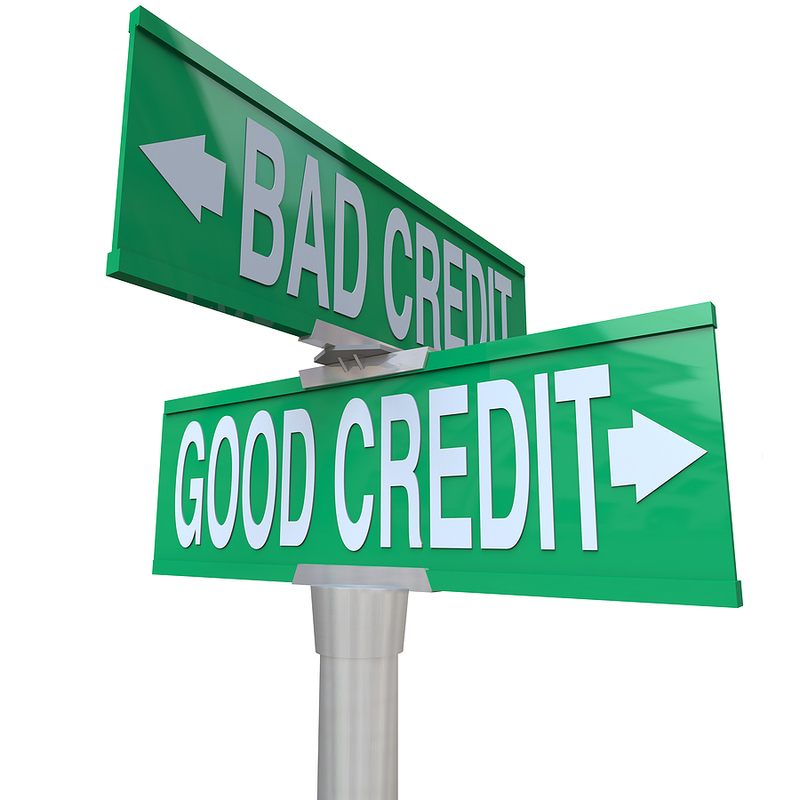 As reflected from the recent 2nd quarter statistics of the National Credit Regulator, only 37,9 % of 20.2 million credit active consumers are regarded as “current” – which means that they have no late payments, adverse notices, judgments or administration orders against their names. Lending institutions are eager to provide finance to lenders in the affordable market and with the current poor quality of applications submitted to them, are considering or may have already commenced to reduce their ‘score-card” to allow more applications to be approved. This policy however has a double edged sword as the lenders now have to “price for risk” and as such increase the interest rates for a customer. A property developer in the ‘affordable housing” market launched two different housing developments for sale and achieved 310 approved home buyers after they processed 2 740 applications and for the second project, for more expensive properties, had 100 approvals from 600 applications. The equated administrative costs of achieving a qualified client amounts to between R1 800.00 – R2 100.00 per approved home buyer for such developer and for the project of 2 740 applications, in the region of R820 000.00 just to process these applications. Most of the buyers in the ‘affordable market” are first time buyers and have no or little knowledge of background as to the requirements on how to apply and qualify for a home loan. Ignorance also plays a large contribution as just recently, a declined home buyer as a result of a bad credit record, expressed his sentiment to an agent that he will just move back to his rural home town, be un-employed, avoid settling his debt and then wait for the government to provide him with a free house. First Time buyers most often do not have the legacy of growing up in a home where the parents owned their own home and attended to issues like paying for a bond, rates and taxes and implementing home maintenance. Most lending institutions expect the new home owner to diligently pay back a 20 or 30 year home loan, but provide very little education, assistance or communication with the home owner during his homeownership. As appears from a recent survey undertaken by the NCR, “- the bank is only interested to talk to me when I am in distress as a home owner”. The introduction to the requirements for a successful home loan application and the qualifications for a sustainable home owner, must be approached in an earlier stage than the signature of a deed of sale and application for a loan to a bank. A holistic approach would be to identify aspiring home buyers at an early stage, provide information, guidance and education as to all aspects of home ownership and how to buy a home and apply for finance. The concept of renting your home and then going through the process of learning more about the obligations and requirements and also benefits of home ownership, can be an “elegant” introduction (as described by Erwin Rode) to acquire home ownership. Through the concept of rent to buy, the interested buyer will have the opportunity to secure a property at an agreed price, establish a good payment profile and credit record during his rental tenancy and also be able to save a portion of the additional rental towards a deposit. In a rent to buy transaction it is proposed that the buyer pays a rent that is equal to his intended bond repayment, which is usually higher than the average market related rental for the same property, and such additional payment is allocated towards a savings account for the deposit towards the purchase price. In the Western Cape, several property developers and owners have already made the units available under the rent to buy concept. A property developer recently released 106 units in the price range between R299 000 – R650 000 and another developer 30 units to rent to buy. In Gauteng a property developer who had 11 home loan applications declined after meeting their internal “good standing” pre-submission criteria, also opened their doors to buyers to “rent to buy” as the units are already constructed, but they are now faced with unsold units as they have these willing and desperate buyers who may qualify for a home loan 6 – 9 months after receiving their initial decline from the bank – rent to buy is considered for these declined buyers. The Law Society of South Africa aims to give back to the general public through various initiatives, one being the annual NATIONAL FREE WILLS WEEK. 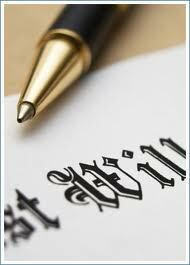 This year the FREE WILLS WEEK will be running countrywide from 7-11 October 2013. During this week, participating attorneys will draft basic wills free of charge. However, only a new basic will be drafted. This initiative does not extend to amendments to existing wills. The office of Oosthuizen & Co Meyer de Waal Inc. is a proud participant in this initiative. If you do not already have a valid Will in place, we invite you to contact Samantha at our offices on 021 461 0065 and set up an appointment to make your Will. 1. It is the only way in which you can ensure that your estate will be divided according to your wishes after your death. 2. If you do not have a valid will in place when you die, your estate will simply devolve according to the intestate rules of succession, which can be both inflexible and impractical. You will have no control as to who will inherit from your estate, with the result that the wrong person(s) may receive a portion/benefit from your estate. There are also many rules and regulations that need to be adhered to, which may further delay the administration of your estate and run up unnecessary costs. 3. In your will you have the opportunity to nominate an Executor to take control of your affairs once you pass away. The role of the Executor is to protect your assets, settle your debts, identify your heirs and distribute your assets in line with your will, a process that is overseen by the Master of the High Court. This role can be fulfilled by any adult person whom you trust, whether it is your spouse, major child, friend or a professional person such as an attorney or accountant. 4. If you have not appointed an Executor, your beneficiaries will have to decide and agree on a nomination and submit same in writing to the Master of the High Court, who has the final discretion in accepting the beneficiaries’ nomination and/or requiring the addition of an agent to assist the nominated Executor. This route will delay the winding-up of your estate considerably, especially if the Master does not accept one/more of the beneficiaries’ nominations. 5. By having your will drafted clearly and unambiguously, you will prevent a situation of heirs squabbling about who gets what. Disputes about the estate’s assets and debts frustrate and delay the administration process. In addition hereto, existing relationships between heirs may take a terrible, even permanent, blow. 6. Should you pass away without a will and you leave minor children behind, their inheritance, in terms of the rules of intestate succession, must be paid into the Guardian’s Fund until they reach majority. A downside to this happening is that the interest rate on the investment may be low. A further difficulty is that, should you leave behind a valuable property, the surviving spouse and/or major children may be forced to sell the property in order to raise the necessary funds to be transferred into the Guardian’s Fund on the minor child’s behalf. 7. For the more sophisticated planner, a valid will can be used as an effective tax planning tool. With the assistance of a professional/expert, you can legally structure your portfolio and draft your will in such a way as to minimize your estate duty liability upon death. Estate duty is payable from the residue of your estate, which is the portion that is left after all legacies and bequests have been paid out. Should the estate duty payable on your estate by unnecessarily high, the heir(s) inheriting the residue, will receive less than you might have intended. Taking into account the knowledge and experience required to draft a will properly, it is definitely advised to have your will drafted by an attorney or similarly qualified professional. Please contact us on 021 461 0065 for further information.